Is there any remedy for my local server? [    0.000000]  Additional per-CPU info printed with stalls. [    0.000000] Architected local timer running at 24.00MHz. [    0.080509] SMP: Total of 4 processors activated (19200.00 BogoMIPS). [    0.096716] wakeup src cnt is : 2. [    0.117590] hw-breakpoint: found 5 (+1 reserved) breakpoint and 4 watchpoint registers. [    0.117590] hw-breakpoint: maximum watchpoint size is 8 bytes. [    0.270357] twi_chan_cfg()340 - [twi0] has no twi_regulator. [    0.270416] twi_chan_cfg()340 - [twi1] has no twi_regulator. [    0.270470] twi_chan_cfg()340 - [twi2] has no twi_regulator. [    0.272507] Advanced Linux Sound Architecture Driver Version 1.0.25. [    0.349266] RPC: Registered named UNIX socket transport module. [    0.349330] RPC: Registered udp transport module. [    0.349374] RPC: Registered tcp transport module. [    0.349418] RPC: Registered tcp NFSv4.1 backchannel transport module. [    0.858401] Installing knfsd (copyright (C) 1996 okir@monad.swb.de). [    0.859975] NTFS driver 2.1.30 [Flags: R/W]. [    0.875423] [DISP] Fb_map_kernel_logo,line:932:Fb_map_kernel_logo failed! [    0.910994] sw_uart_get_devinfo()1503 - uart0 has no uart_regulator. [    0.911412] sw_uart_get_devinfo()1503 - uart1 has no uart_regulator. [    0.911816] sw_uart_get_devinfo()1503 - uart2 has no uart_regulator. [    2.775648] sunxi_spi_chan_cfg()1376 - [spi-0] has no spi_regulator. [    2.791228] sunxi_spi_chan_cfg()1376 - [spi-1] has no spi_regulator. [    4.120443] USB Mass Storage support registered. [    4.357600] ltr_init: ls_fetch_sysconfig_para err. [    4.358243] [RTC] WARNING: Rtc time will be wrong!! [    4.409047] [cedar]: install start!!! [    4.409443] [cedar]: install end!!! [    5.154854] calibrat: max_cpufreq 1008Mhz Type 1! [    5.191280] [mmc]: get mmc0's sdc_power is null! [    5.191340] [mmc]: get mmc1's sdc_power is null! [    5.198929] no blue_led, ignore it! [    5.216600] no led_0, ignore it! [    5.232924] no led_1, ignore it! [    5.248874] no led_2, ignore it! [    5.268950] mmcblk mmc0:0001: Card claimed for testing. [    5.343687] no led_3, ignore it! [    5.358045] no led_4, ignore it! [    5.372034] no led_5, ignore it! [    5.385675] no led_6, ignore it! [    5.398961] no led_7, ignore it! [    5.467834] [DAUDIO]sunxi-daudio cannot find any using configuration for controllers, return directly! [    5.496465] [I2S]snddaudio cannot find any using configuration for controllers, return directly! [    5.524118] [DAUDIO0] driver not init,just return. [    5.838807] ThumbEE CPU extension supported. [    5.886981] [DISP] disp_init_tv,line:539:screen 0 do not support TV TYPE! [    5.939576] ths_fetch_sysconfig_para: type err  device_used = 1. [    6.020550] [rf_pm]: regulator on. [    6.020585] [rf_pm]: set losc_out 32k out[wifi_pm]: set wl_reg_on 1 ! [    6.222241] [wifi_pm]: wifi gpio init is OK !! [   10.622674] systemd: Detected architecture 'arm'. [   10.683164] systemd: Set hostname to <orangepizero>. [   11.616229] systemd: Cannot add dependency job for unit display-manager.service, ignoring: Unit display-manager.service failed to load: No such file or directory. [   11.720273] systemd: Starting Forward Password Requests to Wall Directory Watch. [   11.738886] systemd: Started Forward Password Requests to Wall Directory Watch. [   11.757296] systemd: Starting Remote File Systems (Pre). [   11.790251] systemd: Reached target Remote File Systems (Pre). [   11.806874] systemd: Starting Encrypted Volumes. [   11.840232] systemd: Reached target Encrypted Volumes. [   11.855898] systemd: Starting Dispatch Password Requests to Console Directory Watch. [   11.875029] systemd: Started Dispatch Password Requests to Console Directory Watch. [   11.893887] systemd: Starting Paths. [   11.920237] systemd: Reached target Paths. [   11.934858] systemd: Starting Arbitrary Executable File Formats File System Automount Point. [   11.990276] systemd: Set up automount Arbitrary Executable File Formats File System Automount Point. [   12.020292] systemd: Starting Root Slice. [   12.050246] systemd: Created slice Root Slice. [   12.065603] systemd: Starting /dev/initctl Compatibility Named Pipe. [   12.100247] systemd: Listening on /dev/initctl Compatibility Named Pipe. [   12.117939] systemd: Starting Delayed Shutdown Socket. [   12.150242] systemd: Listening on Delayed Shutdown Socket. [   12.166428] systemd: Starting Journal Socket (/dev/log). [   12.200232] systemd: Listening on Journal Socket (/dev/log). [   12.216861] systemd: Starting User and Session Slice. [   12.250237] systemd: Created slice User and Session Slice. [   12.266730] systemd: Starting udev Control Socket. [   12.300232] systemd: Listening on udev Control Socket. [   12.316122] systemd: Starting udev Kernel Socket. [   12.350237] systemd: Listening on udev Kernel Socket. [   12.365612] systemd: Starting Journal Socket. [   12.400235] systemd: Listening on Journal Socket. [   12.414955] systemd: Starting System Slice. [   12.450262] systemd: Created slice System Slice. [   13.121253] systemd: Mounted Huge Pages File System. [   13.140846] systemd: Started Set Up Additional Binary Formats. [   13.271013] systemd: Starting system-serial\x2dgetty.slice. [   13.310324] systemd: Created slice system-serial\x2dgetty.slice. [   13.325917] systemd: Starting system-getty.slice. [   13.360269] systemd: Created slice system-getty.slice. [   13.471290] systemd: Started File System Check on Root Device. [   13.486523] systemd: Starting Slices. [   13.520381] systemd: Reached target Slices. [   13.550343] systemd: Mounted Debug File System. [   13.580408] systemd: Mounted POSIX Message Queue File System. [   13.690400] systemd: Started Increase datagram queue length. [   13.950354] systemd: Started Restore / save the current clock. [   14.060299] systemd: Started Create list of required static device nodes for the current kernel. [   14.280835] [XRADIO_ERR] xradio_load_firmware: can't read config register, err=-110. [   14.297817] [XRADIO_ERR] xradio_load_firmware failed(-110). [   14.310406] systemd: Started LSB: Set keymap. 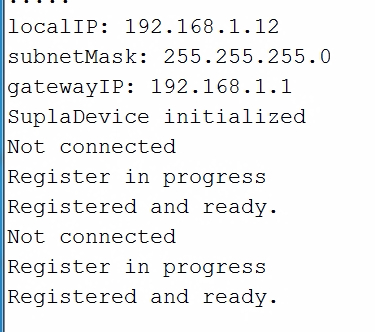 [   14.430306] systemd: Started udev Coldplug all Devices. [   14.571418] systemd: Starting Syslog Socket. [   14.600510] systemd: Listening on Syslog Socket. [   14.740452] systemd: Started Journal Service. [   15.129198] [XRADIO] XRADIO_HW_REV 1.0 detected. [   15.545992] [XRADIO] Firmware completed. [   15.580230] [XRADIO] Firmware Startup Done.